Let the UR Creative Assistant help you get started! 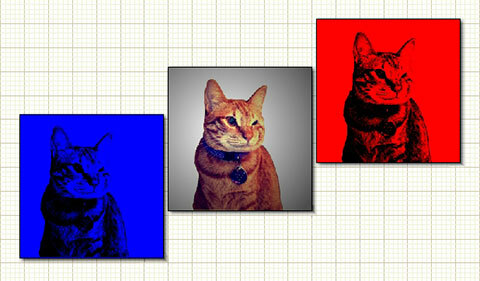 Create Your Own Pop Art Canvas in Minutes! simply e-mail us your photo and we will create the Pop Art for you! See What You Can Create in Minutes! Preview Canvas in Your OWN Room! lets you preview your canvas creations in YOUR OWN ROOM ! Click here to see! Often it is hard to tell if your canvas creation will look nice or match your room. So we give you a function to upload your own room photo, set the measurements for scale, and preview the canvas creation inside your OWN room. So now you will not worry about the canvas being too big or too small, not matching, etc! ① First, create your canvas design using our online multi-piece canvas design tool. ② Use the measurement ruler to set the measurement of any object in the room to provide the scale. Simply click and drag a ruler across an object (like the sofa below) and then enter the length of the object (such as 2 metres for the sofa). 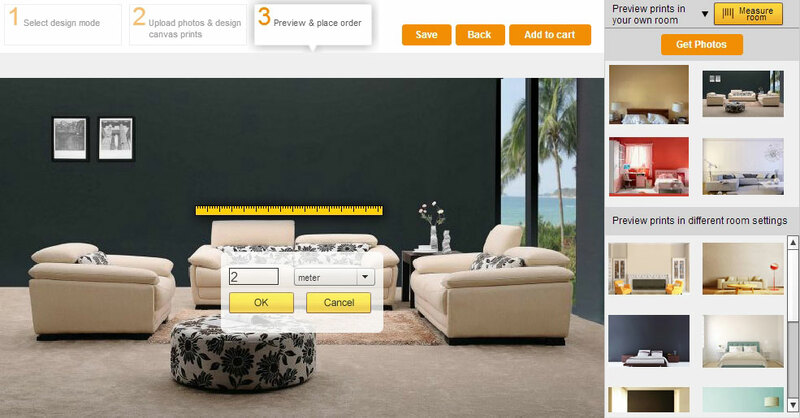 ③ Your WOW canvas design can now be previewed in your own room environment IN THE CORRECT SCALE! URPhoto's Canvas Creative Assistant helps you create beautiful Wall Art in one simple step! Simply select your photos and watch the magic. Our Creative Assistant tool is the most advance intelligent auto suggestion tool on the market. CREATE REAL CANVAS WALL ART HAS NEVER BEEN EASIER!!! The URPhoto Canvas System has many build in filters and effects that you can use to enhance your photos to make beautiful canvases. It is very simple, just drag your select filter/effect onto your photo ! 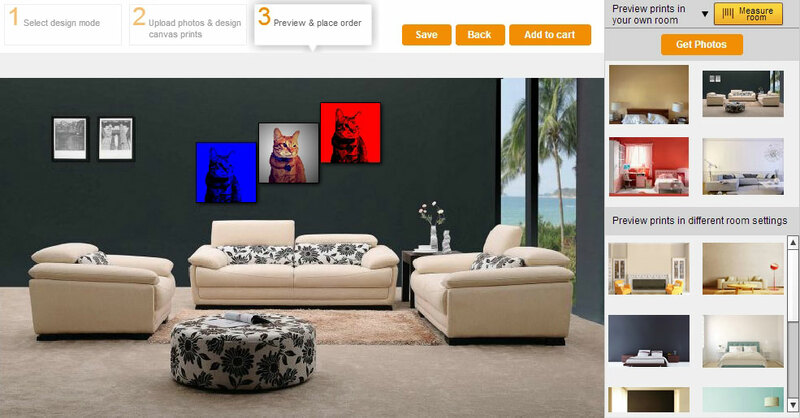 You can also combine the use of photo rotation, resize and background to create amazing wall art! POP ART!! That you can easily make by yourself! 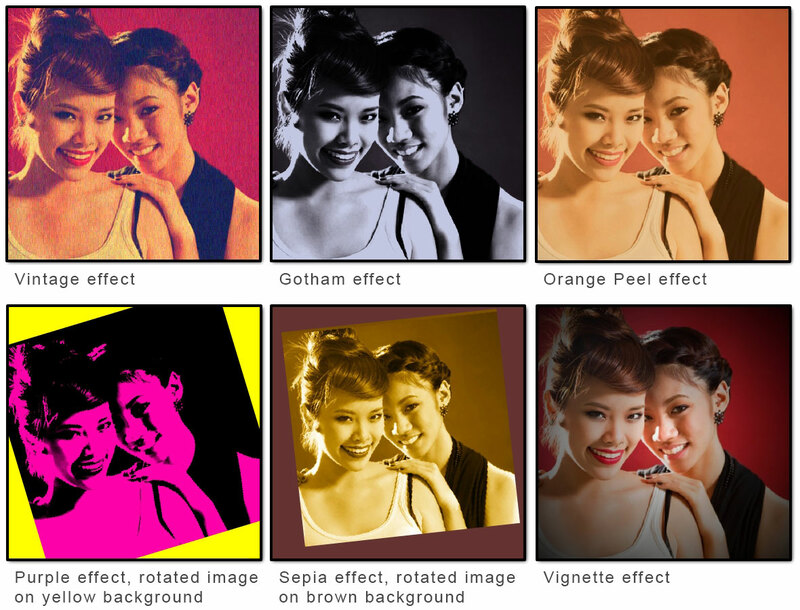 Everyone likes Pop Art, and now you can easily create your own with our Pop Art function in 2 simple steps. ① Simply use our "Pen" tool to outline the features in your main subject. ② Select the colours you want for the different features... YOU'RE DONE!!! Can't believe this... give it a go now!!!! FUN Background is an easy way to add some FUN! to your canvas. Simply use our "Pen" tool to outline your main subject, and then replace the background with a photo your upload, or some of our fun background ! If you do not find the sizes that you want, we can help you custom create a size that fits you. 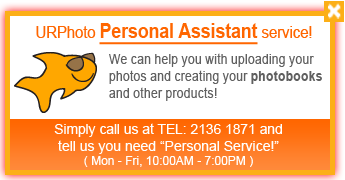 Simply Contact Us and tell us what you have in mind! 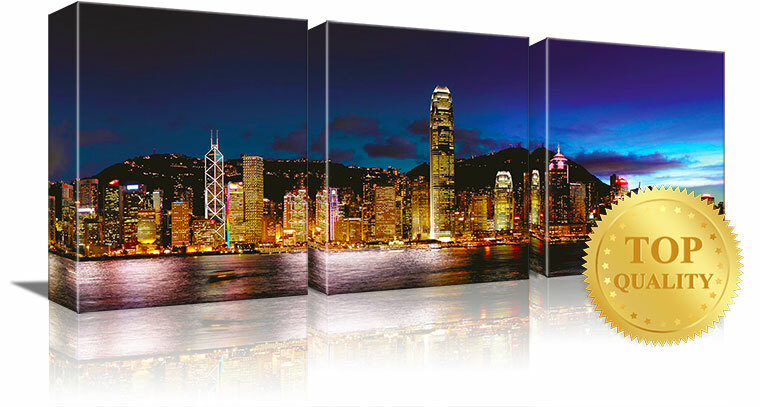 WOW Canvas prints are made out of top quality durable cotton fabric and wrapped around a solid wooden 1-inch frame. Your photos / images are printed using high resolution eco-friendly solvent printers with beautiful colors and stunning results! In addition, in line with our top quality customer service tradition, URPhoto staff will help you check your image files before canvas production begins. After your canvases are printed, we carefully check each and every one for any imperfections. If one does not meet our stringent quality requirements, we will redo it before sending it to you. We hope we can create beautiful canvases wall art for you!